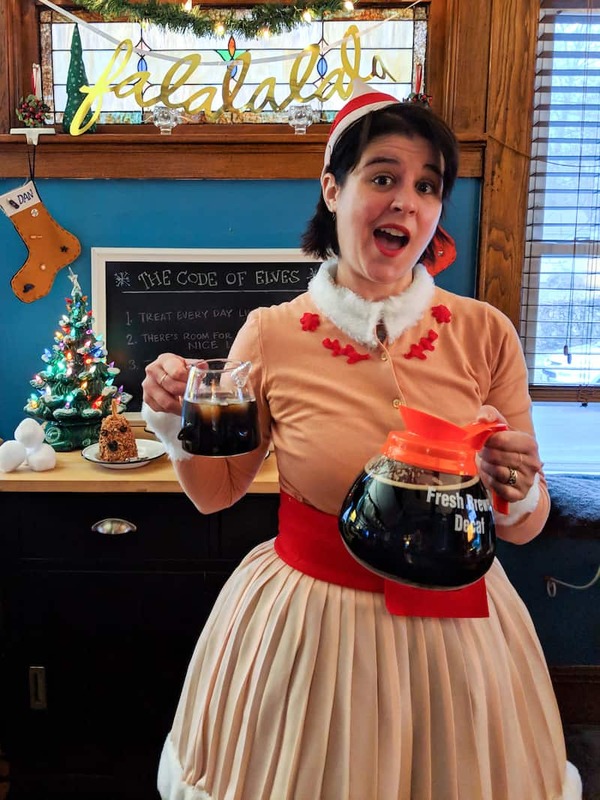 How to Throw an Elf Holiday Party (With Recipes!) | Good. Food. Stories. 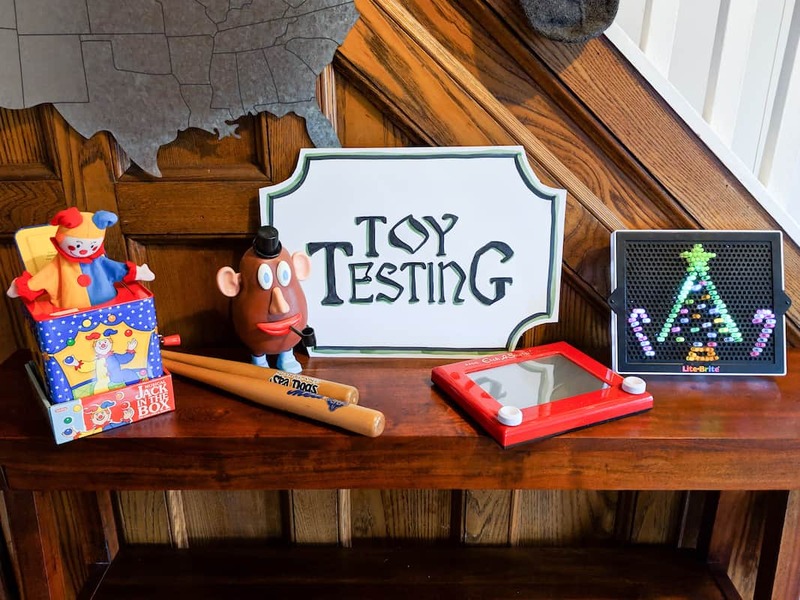 We set the bar for Christmas cheer pretty high with last year’s epic Home Alone holiday party, so we knew this year’s Elf holiday party had a lot to live up to. 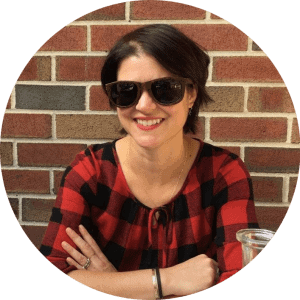 Luckily, I love a challenge, especially when it comes to entertaining mixed with craftiness. And I love the movie Elf, almost as much as I love smiling. Smiling’s my favorite! In fact, a century ago in internet time (actually it was eight years) my recipe for Buddy the Elf’s spaghetti pie inadvertently started this whole “food inspired by pop culture” obsession of mine. 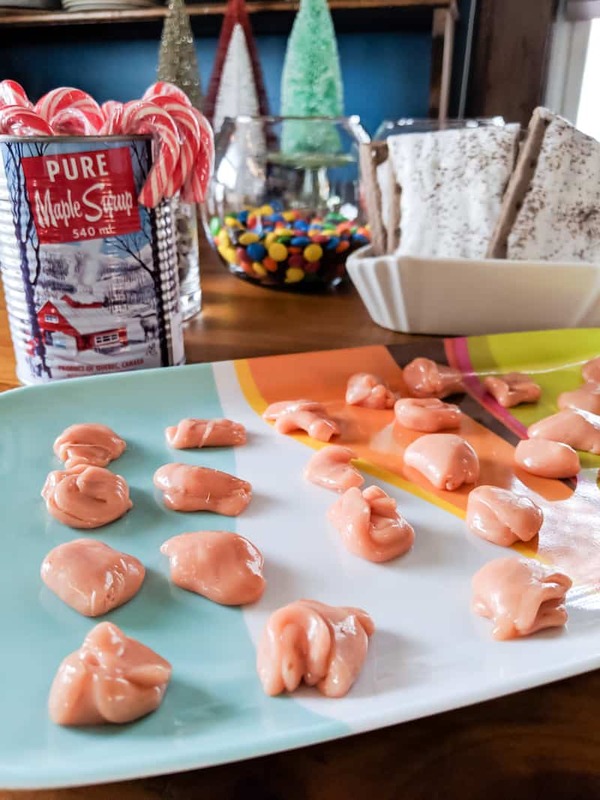 There’s only one way to make your guests arrive at the party: through the seven levels of the candy cane forest, through the sea of swirly-twirly gumdrops, and then walk through the Lincoln Tunnel. And even if you don’t live en route from the Lincoln Tunnel (like we actually do! ), you can still create the same kind of magic. 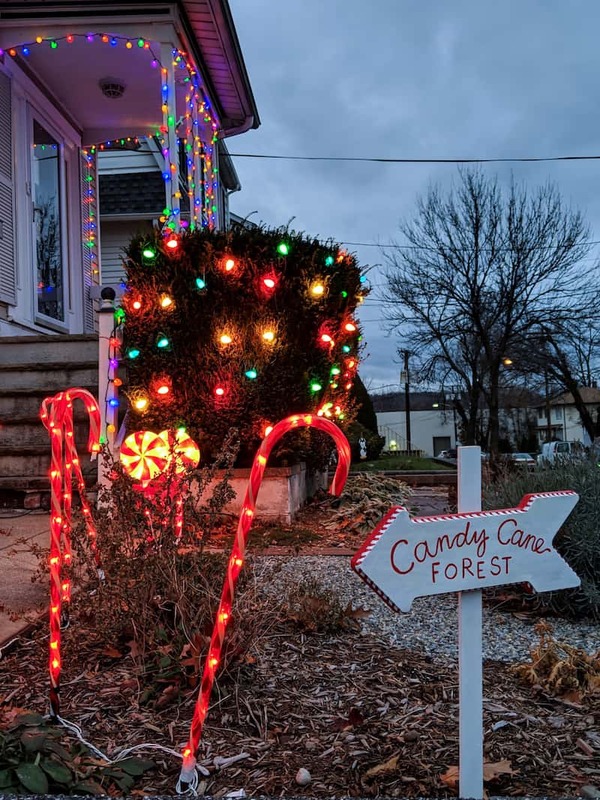 Outdoor candy cane stakes and swirled peppermint lights are widely available at garden and home improvement stores, making it easy to create your own winding pathway to your front door. We managed to snag a set of outdoor gumdrop lights as well—these seem to be discontinued everywhere, so if you see a strand under $30, grab it! 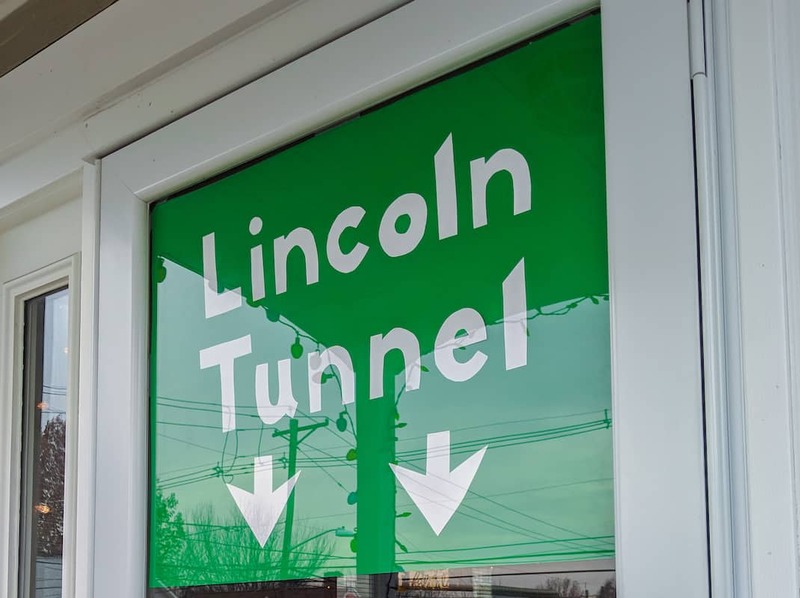 For the final hand-crafted touch, make a Lincoln Tunnel sign with a piece of green poster board and white lettering that hangs in the doorway. 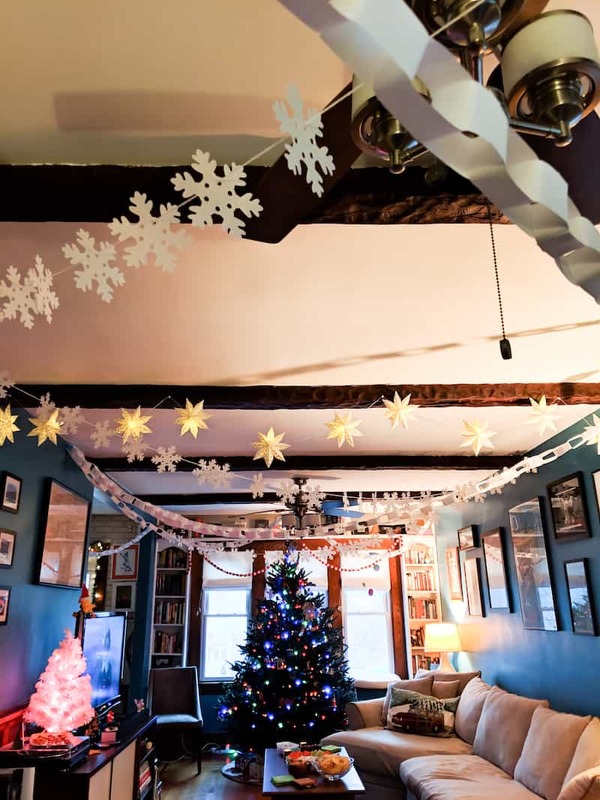 For a low-cost but high-impact decoration, string as many paper chains and snowflake garlands as you can across the ceiling. Our tissue paper snowflakes hung from cheap white yarn, and it doesn’t take that much to make the room look full and festive. While it would be pretty pricey to get 12 Lite Brites to spell out “WELCOME SANTA”, one will suffice for the effect. Plus, then you can make the coolest multicolored Christmas tree with those classic pegs. So satisfying to play with! An Empire State Building snow globe could also be repurposed for a future Sleepless in Seattle party, I guess? 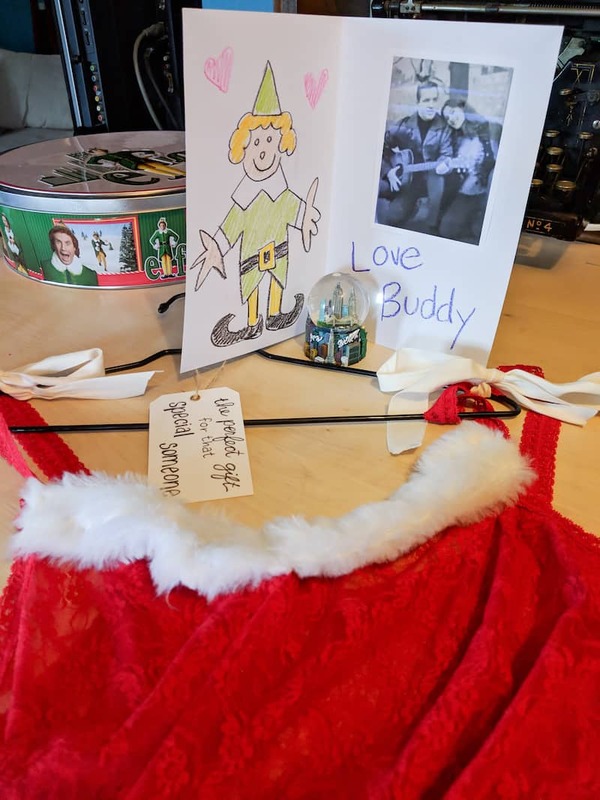 Obviously it’s easy to find pre-made Buddy and Jovie costumes online, and that’s the route my husband took to Buddy-up for the party. But I refused to pay $60 for a crappy polyester costume (why, again, are women’s costumes twice the price of the men’s??). 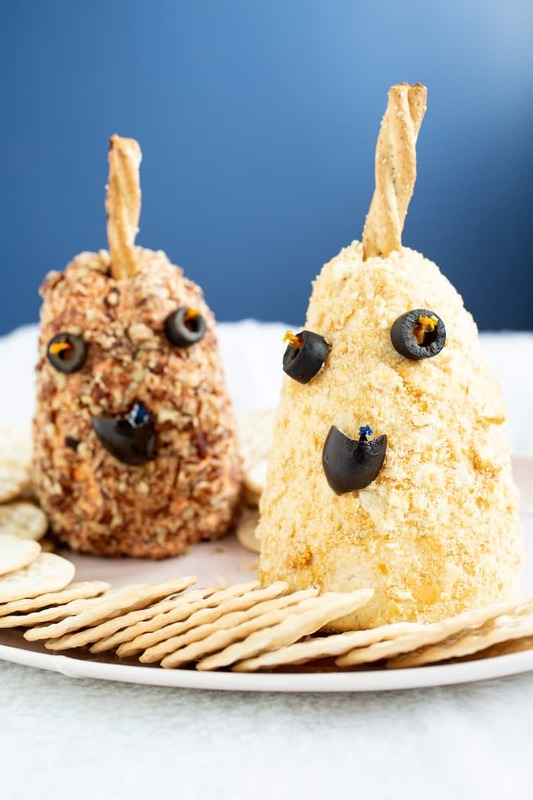 Narwhal cheese balls! Reshape a store-bought ball or make one of your own with 8 ounces each softened cream cheese and your favorite soft cheese, along with any other flavors like garlic or horseradish. Use pretzel twists for narwhal horns and sliced olives for the eyes and mouth. “You smell like beef and cheese!” Well, of course you do if you’ve been eating brisket mac and cheese all night. You might also want to have a few multicolored marshmallows, Pop Tarts, and Sno Caps around in case anyone really wants to replicate Buddy’s spaghetti breakfast. And if you got a full 40 minutes of sleep, maybe you’ll have time to make a gingerbread house too! Congratulations! You did it! Great job, everybody. 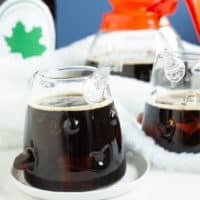 To create this signature cocktail for the Elf party, I pulled inspiration from two of my coffee-inspired cocktails: The Morning Addition, which combines cold-brew coffee with bitter amaro, and The Good Cheer, which pairs coffee porter with sweet cherry liqueur and amaretto. Start with a coffee stout you already enjoy—here on the East Coast, I’m partial to Two Roads’ Espressway. 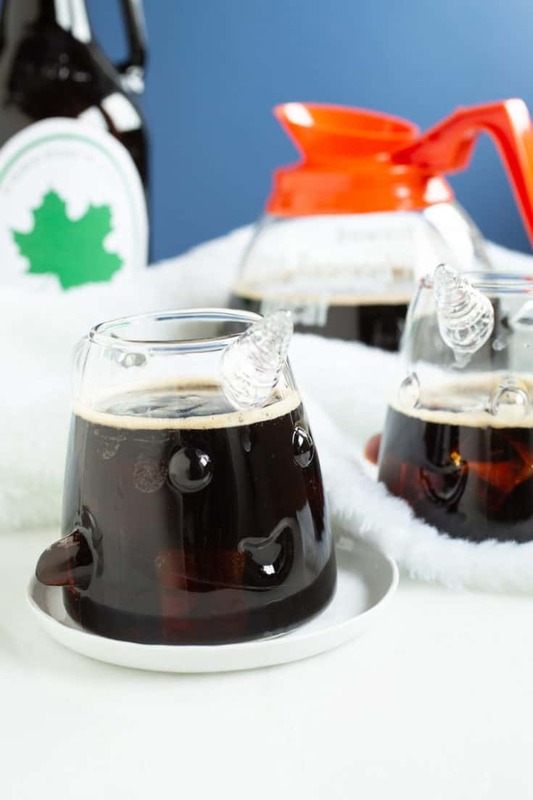 Mix that with two liquors that Buddy would be very happy to pour into his mailroom coffee: maple whiskey, such as Crown Royal Maple or Jim Beam Maple, and an amaro with roasted coffee and caramel notes. My number one choice for amaro here is Caffè Amaro, a coffee-infused amaro from Kansas City’s J. Rieger & Co. If you can’t find it near you, try Meletti, which has notes of caramel and clove-forward spices. For non-coffee aficionados, serve sparkling wine with snowberries and sugar plums—aka fresh raspberries and sugared cranberries. Inspired by the classic Christmas movie, the World's Best Cup of Coffee cocktail should be your signature drink at your Elf holiday party. Stir the sugar and water together in a small saucepan over medium heat until the liquid comes to a simmer. Add the cinnamon, cardamom, and allspice. Remove, cover, and steep for 30-45 minutes. Refrigerate in a sealed jar until ready to serve. 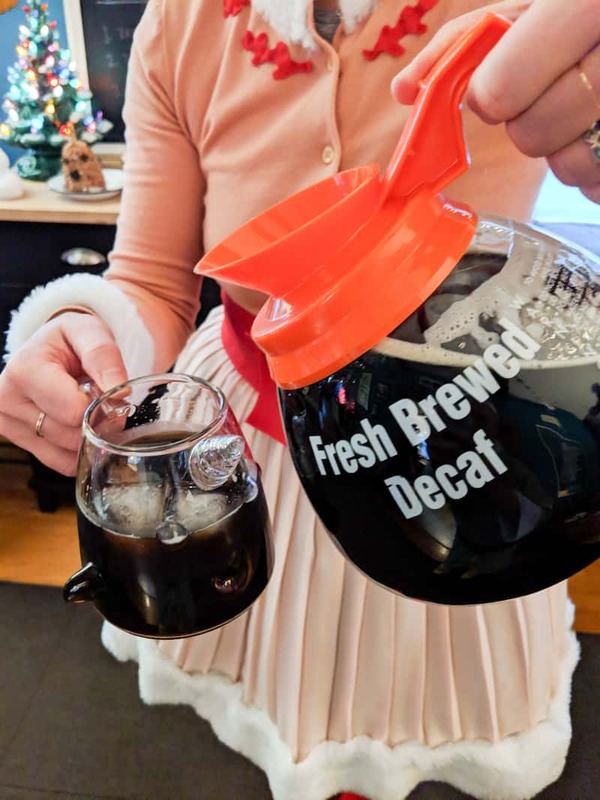 Stir all ingredients together in a pitcher (or diner coffee pot for that real Elf effect).